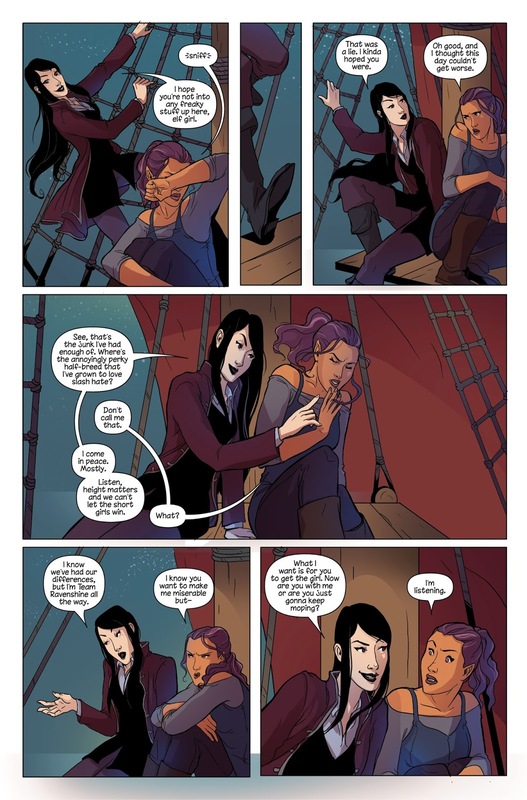 RAVEN is a pirate revenge adventure, a soap opera full of messy teenage love stories, and about a dozen coming of age stories set on the high seas. 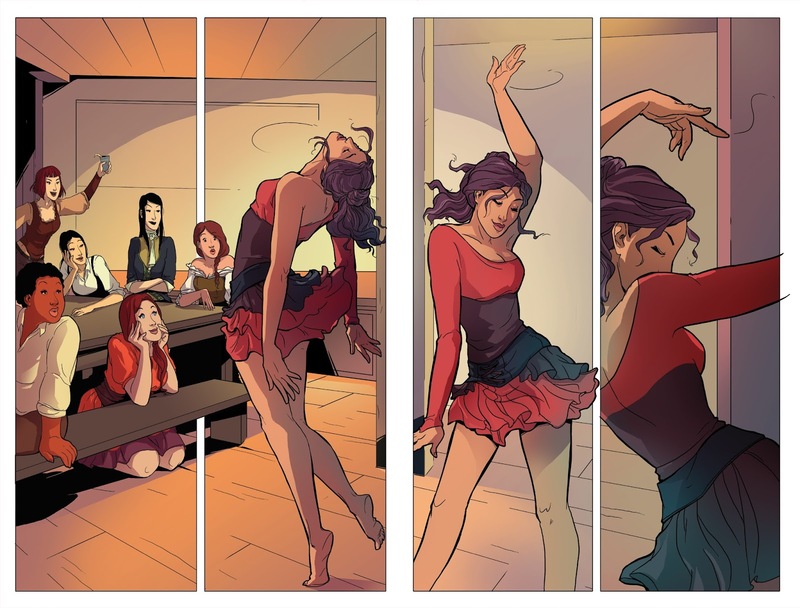 Think "Legend of Korra" at sea with an all female cast. This series has one of the most diverse and exciting casts of any comic on the market. It's full of action, adventure, and revenge - but even more full of love stories and soap operas. 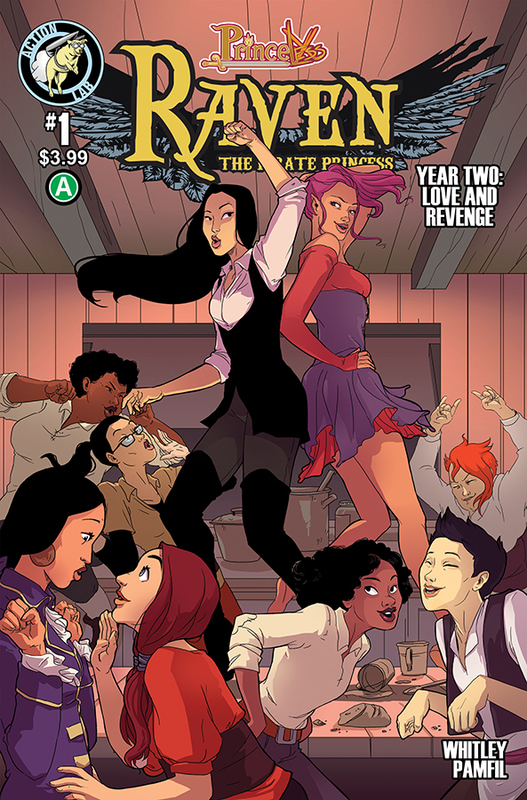 RAVEN is one of the first YA comics with an openly gay leading lady. But on top of that, it has a cast of women who represent a wide spectrum of the LGBTQ community. It's equal parts soap opera and actual opera. Writer Jeremy Whitley hopes readers experience "Joy, connection, and love" when reading this book. He goes on to say that "It's a book where different types of people are heroes than what we're used to, especially in YA fiction. I feel like everybody should be able to find at least one character they either relate to or fall in love with in the pages of this book." 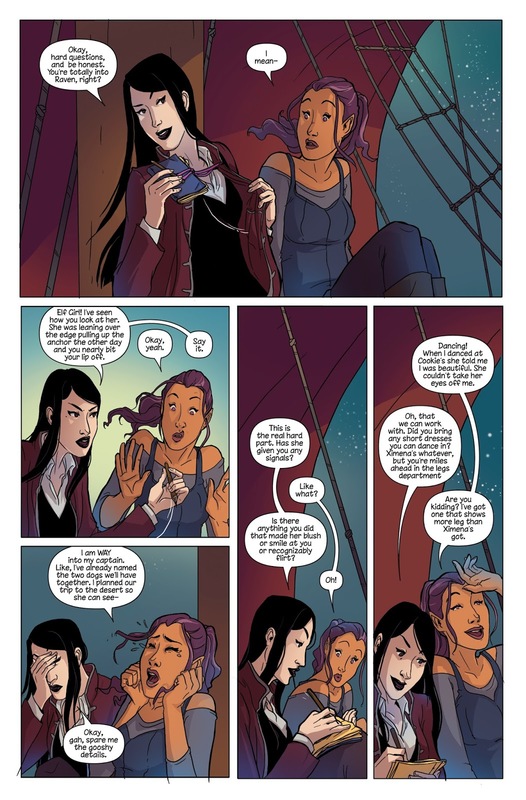 Jeremy Whitley follows up by saying, "RAVEN: PIRATE PRINCESS is back and it's bigger, more action packed, and packed full of feels than ever. This is the perfect place to pick the series back up or jump on for the first time! We can't wait to be back to talking to you about it on twitter!" 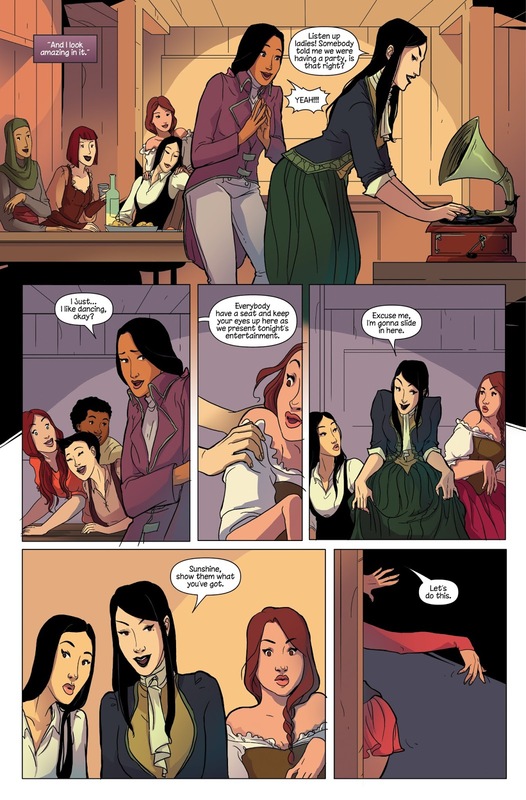 So basically they took the fictional story that was created by the lesbian sister in gone home and turned it into a comic? Neat.